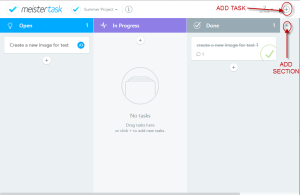 MeisterTask is an intuitive way to manage project or task. It provides a beautiful interface to work on with. The software is more easy to use and its project dashboard helps the teams collaborate easily irrespective of the stream of work the teams are associated to. 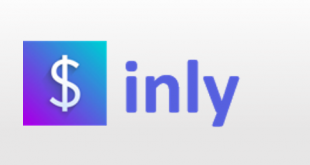 The users can add as many projects and task needed to complete their work.The users can assign tasks to others, comment on the tasks or prioritize their work to work effortlessly and seamlessly. Once the project is completed it can also be archived. The software also has time tracking and keyboard navigation. 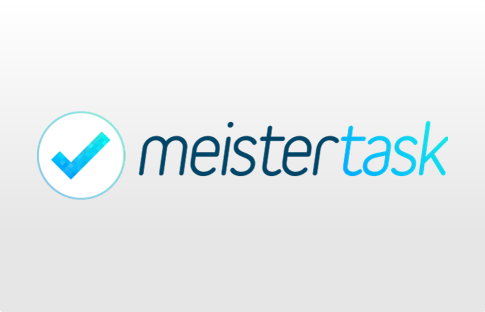 MeisterTask provides two editions, basic and pro. 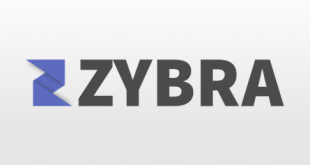 The basic version is a free version and allows two integrations, customizable dash boards and project boards and checklist, comments, attachments and more. The pro edition comes for a cost of $9 per user per month with all the basic edition features along with unlimited integrations and workflow automations with section actions. Create projects with the add project icon. The project name on the text box that appears on the left pane of the dashboard. 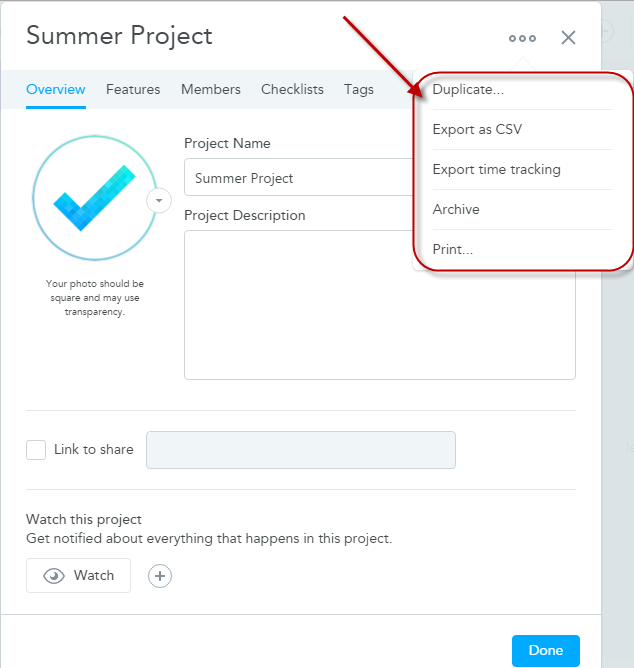 Create tasks for your project by clicking on the project. 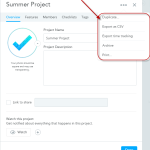 You can add task in the predefined section open, in progress or done section. 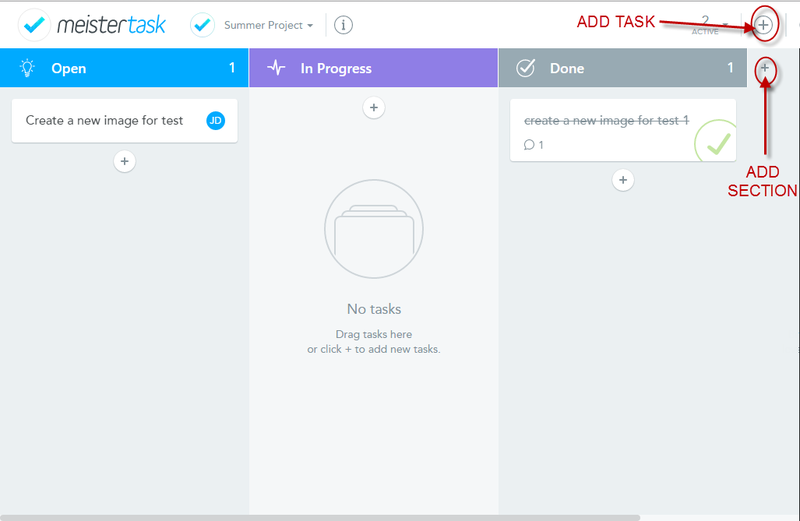 You can also drag and drop the tasks from one section to another. You can create your own section and delete the predefined section if not required. Any notification or comments are immediately notified to the user by displaying them in the right side of the screen. Any task that is starred or due for the current day is listed under focus so that the user does not miss or can give higher priority to the task under focus. 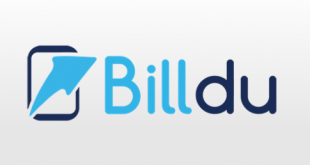 The application also allows the users to change the background so that it looks attractive, interesting and tempting for people to work freely without any pressure. The application also provides additional features like export and archiving. The users can export the project as a comma separated file. The users can also archive their project. The application is available on mobile application for iOS 8+ and the beta version for Android 4.0 and above. MeisterTask allows integration with multiple application like MindMeister, Slack, Zendesk, GitHub, Bugsnag, Bitbucket, Google Drive, Dropbox and Box. MeinsterTask provides support with FAQ’s and by submitting a request to the support team. It also provides an additional feature to attach a file that focuses on the support needed. Easily assign and prioritize tasks. Mobile integration allows users to work from anywhere. MeisterTask has an attractive dashboard and customizable project board, allowing the teams to assign, integrate and collaborate their work which makes it different from the others. For more details, please visit: Meistertask website.